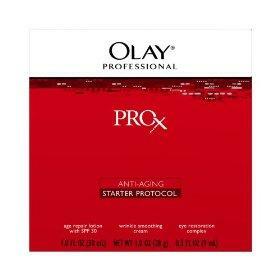 Olay is a trusted brand. There are hundreds of different skin care brands available today. It's often difficult to know which brands work best for your personal skin type, and what brands cater to specific skin problems. Find out what brands carry products designed for your skin, whether it's normal, acne prone, oily, or dry. This section of LoveToKnow Skin Care features information on skin care brands to help you find the lines that will suit your needs best. From natural skin care lines like Burt's Bees to the age-fighting Obagi systems, we'll give you what you need to know the different brands available on the skin care market today. We'll let you know what brands treat and prevent aging, what brands offer effective solutions for skin problems like eczema, and what brands are great for sensitive skin. Where can I buy the brand? What products does the brand offer? Does the brand focus on a specific skin care problem? Can I afford to buy the brand? How do the line's skin care products work? Our articles also give you basic information about the company and include helpful shopping tips. You'll find some of the newest brands, along with stand by names in the beauty industry. We strive to cover a wide range of brands, from high end luxury names in skin care to economical drugstore options to help women find great skin care products no matter what their budget is. Check back often for our latest articles.